Srinagar, Mar 05: Nowadays road accidents have become a very common thing to listen. Be it a rash driving (or) no experience in driving, the casualty number has been increasing. In a bizarre incident, six policemen and two prisoners were injured on Tuesday after a police vehicle turned turtle in Jammu and Kashmir's Anantnag district. 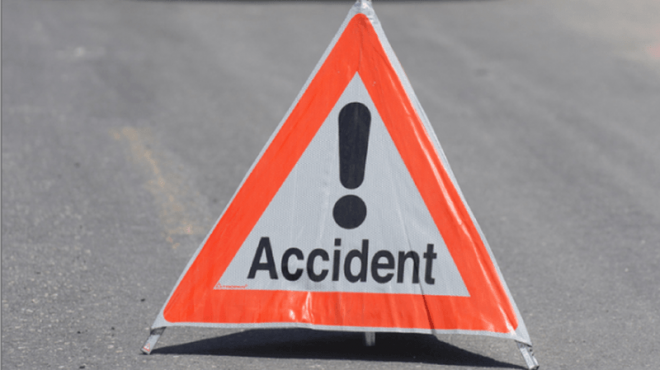 The vehicle was headed to a court in neighbouring Kulgam district when the accident happened at Keribal in Mattan area, injuring all the occupants, police said. All of them were shifted to a hospital. However, further details are yet to be revealed.